Kourabiedes ! crescent cookies…. 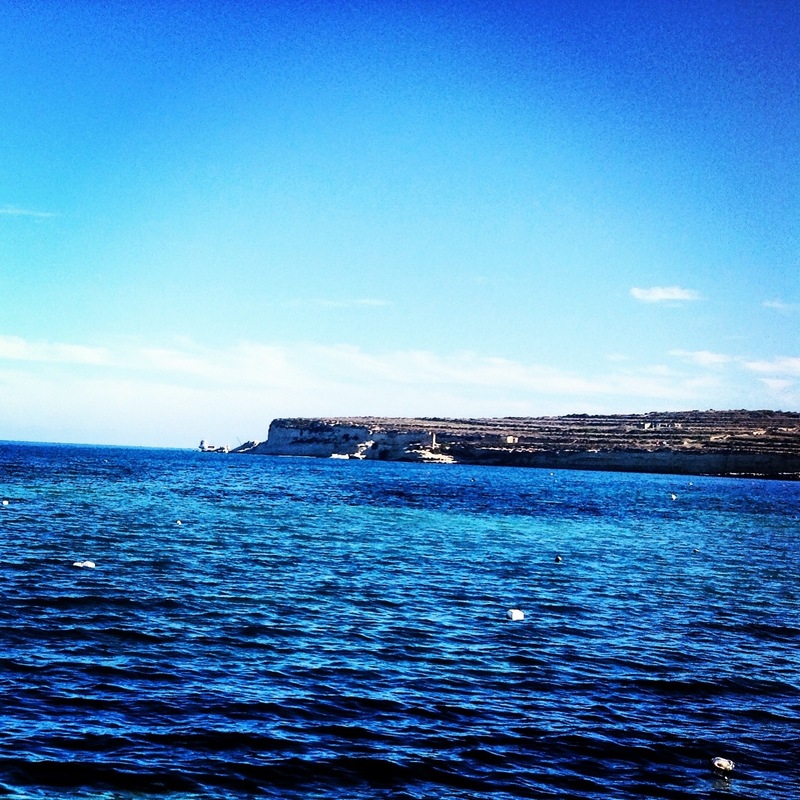 so light, so Greek…. I have very fond memories of living in Limassol when the kids were younger and we loved the local food. 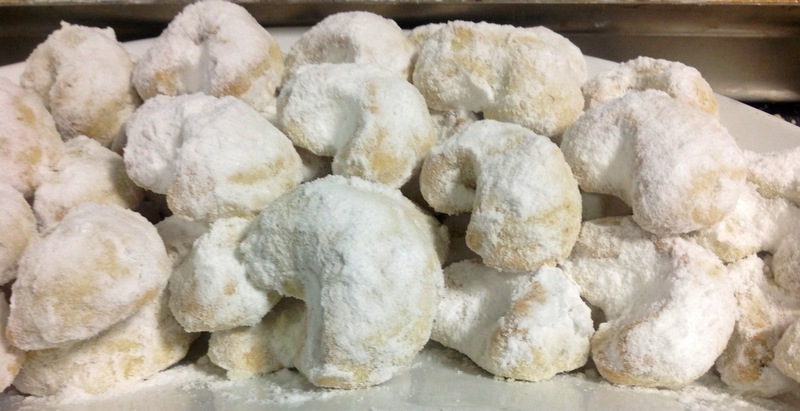 The bakeries were always brimming with traditional sweets and pastries and today I am making Kourabiedes. Although you can use a crescent shaped cutter, I prefer to mould them by hand as the finished effect is more rounded and enticing …. You simply form small balls from the dough and then make an indent with your thumb in the center of the ball and you will end up with a rounded 3-d crescent rather than a flat shape. These cookies are easy to make and ideal for cooking with the kids. If you wish to buy rose water online in the USA please click This recipe makes around 35 cookies. Blend in flour gradually together with salt. Mix thoroughly until it forms a soft dough. Indent each ball in the middle with your thumb and form a crescent shape. Cover the bottom of a flat plate with icing sugar. Place cookies on top and sprinkle with more icing sugar. Turn them over so that they are fully covered. Shake off excess icing sugar and arrange on platter. ← From an island bursting with sunshine in the Fall, a very moist lemon coconut tray cake…. So pleased you like it, thank you ! They are lovely, confectioners sugar in the mix makes a very light biscuit ! So delighted, thank you Alexandra for letting me know ! Thank you Millie, delighted and I know it’s a perfect recipe. They are just wonderful aren’t they ? Have a lovely Easter !